It’s 2015 and I haven’t made a resolution – – not sure that I am going to make one this year. That doesn’t mean I don’t have goals, it just means that I’m not sure resolutions are successful. Even though I haven’t made an “official” resolution, my goal to make yummy and healthy (mostly) food still continues. Cooking for two people is a challenge. Most recipes are written to serve four or more. Plus, I get tired of leftovers and like to cook new dishes. 1. Lightly grease an oven proof dish. 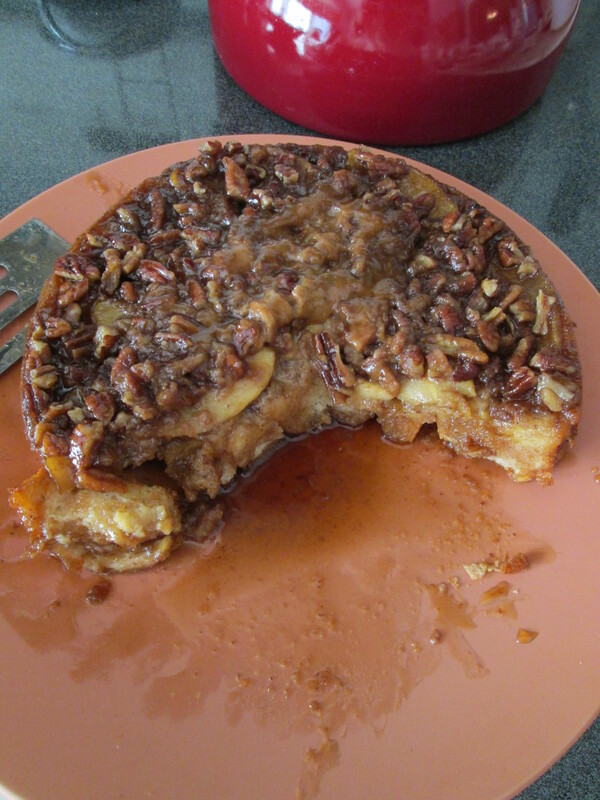 I used a round flat-bottomed ceramic baking dish from Pampered Chef. You could also use a cast-iron skillet or any other dish of your choice. 2. Melt butter (microwave on 1 minute works great!). Add the both of the brown sugars and the maple syrup. Stir until combined and pour into your prepared dish. 3. Sprinkle sugar mixture with the pecans and arrange the apple slices on top of the nuts. 4. Slice bread into 1 inch pieces and arrange over the pecan and apples. Cut, as necessary, slices to make one layer of bread in your pan. 5. Using a whisk or fork, mix together the eggs, milk, cream, granulated sugar, cinnamon, and vanilla. Pour mixture over the bread. Cover dish and chill bread overnight (or at least 8 hours). 6. Remove bread refrigerator and pre-heat oven to 350 degrees F. Bake for 35 – 40 minutes until the top is a golden brown. 7. To serve, run a knife around the edge of the bread and invert onto a serving plate. This recipe makes its own syrup – – see photo – – and if you want, serve with additional maple syrup. For a delicious brunch, add your choice of sides. I decided on bacon (who doesn’t love bacon) and a fruit salad (the healthy part). 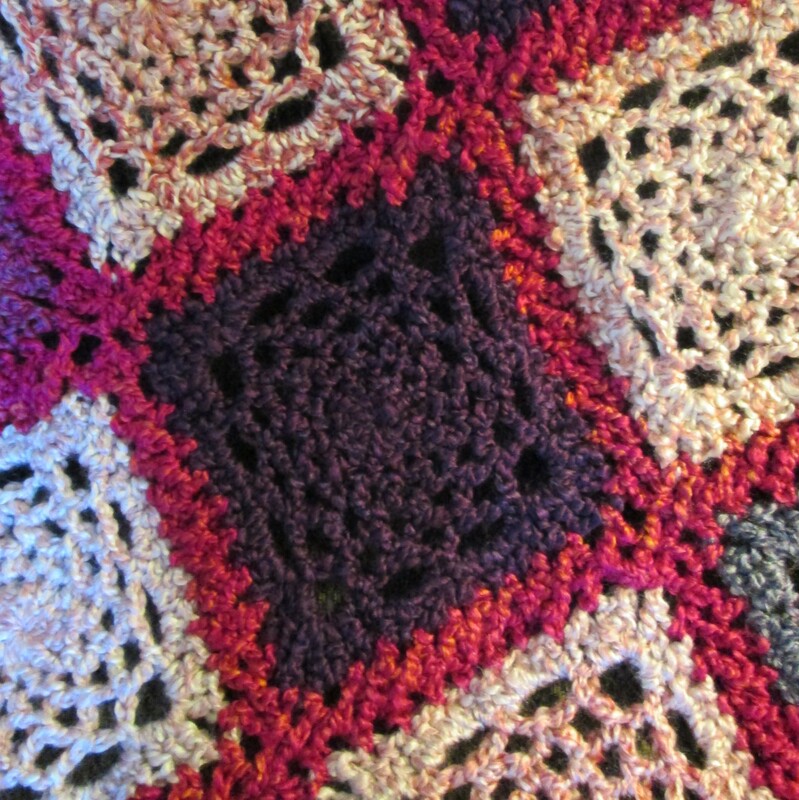 The original version for 8 to 10 people was published in Southern Living [February 2011] and you can find their version here. Let me know if you try this recipe and what you think. My husband went back for seconds – – so I know he thought it was yummy and then told me that I started a new tradition today – – “full breakfast every morning.” Good thing I knew he was just joking. May 2015 be filled with blessing and joy for you and yours! It’s cookie baking time! I’ve been baking cookies all week for the Christmas holiday and for a Cookie Walk bake sale at the church I attend. Already made are English Toffee Brickle Drops, Spiced Shortbread, and White Chip Macadamia Nut. 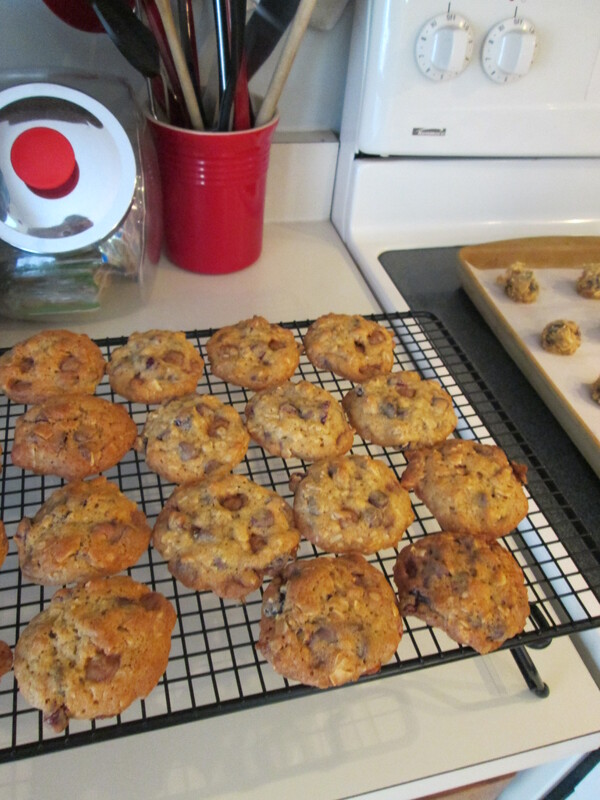 Today’s baking menu is for Loaded Chocolate Chip cookies and Gingerbread Thumbprint cookies. Pre-heat oven to 375 degrees F and line baking sheets with parchment paper. Cream together the butter and sugars until creamy and combined well. Medium speed about 2 minutes. Add eggs, one at a time, and vanilla. Mix on medium low speed until well mixed. Tip: crack eggs into a separate bowl first to avoid shell chips in your batter. In a separate bowl combine flour, oats, salt, and baking soda. Slowly add dry mixture to the creamed butter and sugar and mix until incorporated. 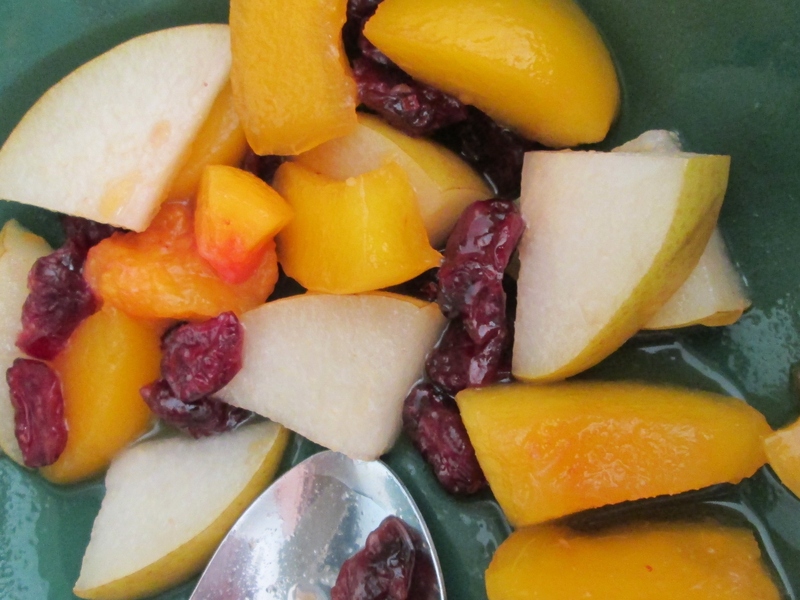 Use a mixing spoon to stir in the chips, coconut, cranberries, and caramel bits. 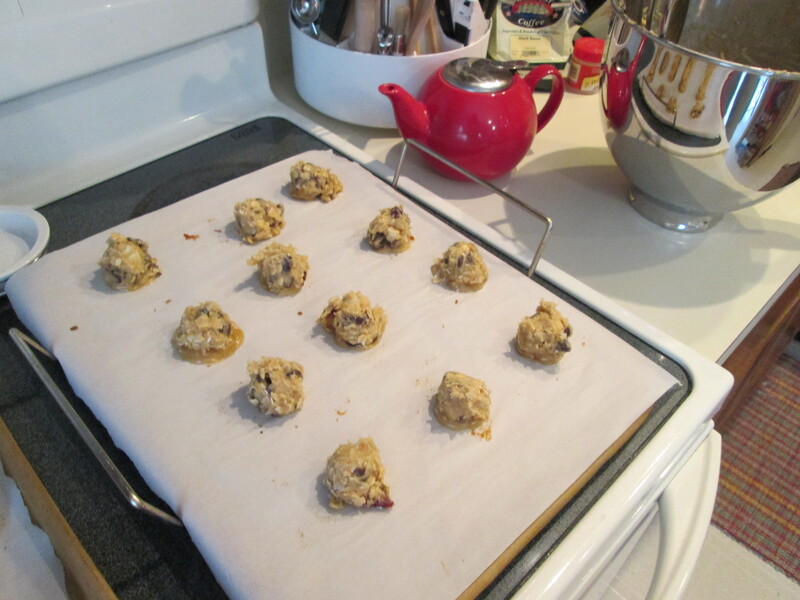 Drop batter onto prepared baking sheets using a one inch scoop or teaspoon. Bake 11 – 12 minutes until golden brown. Cool 5 minutes on sheets and transfer to cooling rack. Baked Cookies Ready to Eat – – Yum!!! I hope you give these cookies a try and let me know what you think. Just transferred the last batch to the cooling rack, now it’s time for a clean-up and then onto the Gingerbread Thumbprint Cookies (using apricot preserves instead of the blueberry jam).